Foraminotomy is a surgical procedure used to relieve compressed or pinched nerves in the spinal column. It is a minimally invasive surgery with high success rates and low risk. Sometimes the nerves that pass through the foramen can become pinched or displaced, causing a lot of pain and inhibiting mobility. Offending structures include disc herniations and bone spurs. A foraminotomy can help reduce pain and increase movement by freeing up the pinched spinal nerves. Dr. Sinicropi performs foraminotomies in a minimally invasive procedure. A small incision will be made in the back to reveal the affected vertebrae. Then a small hole is cut into the vertebrae to create a “window” into the spine. This allows for the visualization of the pinched nerve. Using microscopic Loupes (glasses) and fiber-optic illumination compressed nerves can be seen clearly. Using a high speed bur and then kerrison roungers (bone biting instruments) the tissue or bone will be removed. Once the nerve is completely decompressed, the incision will be stitched up with resorbable sutures. A small dressing or bandaid is placed over the wound. This procedure is simple and effective, and often takes under an hour. You will be able to walk out of the hospital only a couple hours after the surgery is complete. Recovery is generally quick and easy after a foraminotomy. It will depend on each specific patient, but generally recovery will consist of rest, pain medication, and some minor strengthening exercises. 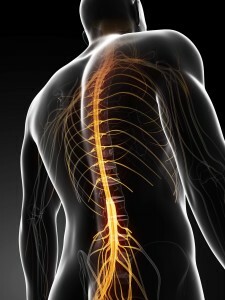 If you are suffering from back pain from a pinched nerve, a foraminotomy may be your best treatment option. Dr. Sinicropi has years of experience performing this procedure, with a very high success rate. Call today to find out if you are a candidate for this minimally invasive surgical procedure – 800.234.1826.